We provide high-end Home Staging for luxury properties in Barcelona and the Costa Brava, mainly. We present them to the market according to their true value and worth. Our results are only achieved by working with skilled professionals to carry out a prior and thorough study of the property. We execute total Home Staging transformations: the exterior of the property, the views, the environment, lifestyle and culture of the location are also involved in the Home Staging, and of course, the sale. We can create specifically targeted spaces according to the type of buyer that a particular property can attract. With this method, we produce a buyer-seller match that anticipates a more successful closing transaction. The spaces managed by Markham Stagers care down to the last detail in every room and convey a sense of comfort that generates a feeling of home in the potential buyer from the very first visit. Literally: move-in ready home staging. 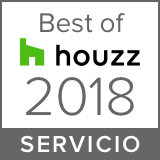 We achieve highly impactful home presentations that will impress even the most demanding of clients willing to buy luxury properties in Barcelona or the Costa Brava. Using the most advanced techniques of experiential marketing is part of our methodology and a part of the Markham Stagers seal. Our identifying seal is the “WOW!” factor. We make highly attractive Home Staging transformations with lots of character, using a wide variety of designer furniture and a sophisticated decor that creates elegant and fresh spaces to entice the buyer. We source the best manufacturers of furniture and premium decor and always have an eye out for the latest trends in home décor at trade shows and international exhibitions. All of Markham Stagers Home Staging projects include a photo book by specialists in architecture and interiors. They are the only ones truly able to capture images that convey the character and emotion of the spaces created by our decorators, property stylists and designers. “Home owners are providing with their luxury properties a unique opportunity to enhance a real estate brand”. Estate agents, home sellers and a whole industry benefit from our Home Staging. Markham Stagers Barcelona Costa Brava is the perfect partner for the sales strategy of high-end agencies. We like to think of our clients as an important part of the team. The realtors we work with provide the best understanding of the real estate market in our country, and we provide the strong know-how of Home Staging techniques.